Camping in the idyllic Blue Ridge Mountains allows you to enjoy the mountain weather, picturesque views, as well as the campground atmosphere. 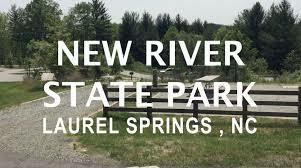 State Park camping, vintage camper rentals, RV sites, and Primitive tent sites render opportunities like biking, hiking, taking leisure walks, fishing, swimming and simply taking in the brisk mountain air. To get the full experience, come check us out! Doughton Park is a landscape of mountains, open meadows and pioneer cabins, 30 miles (48 km) of hiking trails and a place to view wildlife and get a feel for the lives of those who lived here long ago. 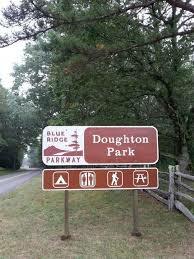 Originally known as the Bluffs, this area is now named in honor of Congressman Robert L. Doughton, long-time advocate and supporter of the Parkway. The 7,000-acre (.4 ha) Doughton Park is one of the best places along the motor-road to view white-tailed deer, raccoons, red and grey foxes, bobcats, and spectacular shows of flame azalea and rhododendron in the late spring. RV sites to accommodate overnight guest to permanent RVs. Primitive tent sites and bath house for hot showers. Open April 1 - Mid to end Oct. Dusty Trails Outfitters is a new business located in Alleghany and Ashe County, NC. Our #1 priority is your safety! We strive for excellent customer service, and we want you to have a fantastic experience enjoying the great outdoors. Having grown up in this beautiful area enjoying all these mountains have to offer, we want to share our passion with you. We take pride in our business. Come enjoy the peace and tranquility of a mountain getaway in beautiful Laurel Springs, North Carolina. We are located at Mile Post 248 right off the majestic Blue Ridge Parkway. 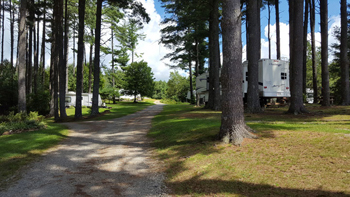 We offer camping and cabin rentals on a nightly, weekly or seasonal lease as well as RV campsites with full hook ups and primitive camping along the pond or one of our two mountain streams. All of our cabins have a bedroom and full kitchen. 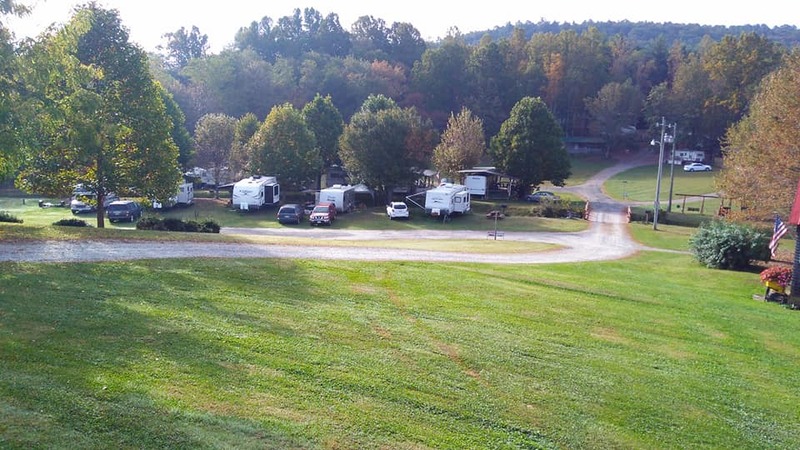 With plenty of nearby recreational activities, we offer total relaxation in a small, quaint campground setting. Come enjoy the best of the Blue Ridge Mountains. The massive granite dome at Stone Mountain State Park keeps watch on park visitors enjoying nearly every type of outdoor activity. There are 18+ miles of trails, matched by 20+ miles of designated trout waters in this park that spread below the Blue Ridge Parkway. 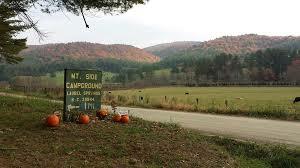 A campground offers 90 sites, some with utility hookups, and nearby group and backpacking campsites. Rock climbing is allowed by permit on the towering, 600-foot granite face of the landmark mountain, and climbers look down on Hutchinson Homestead, a restored mid-19th century mountain farm. Expansive picnic grounds with shelters invite reunions and community gatherings. Wild Woody’s Campground & 3 Antique Stores - Just off Parkway on Hwy 18. Campground on trout stream, showers, beer, snacks. Ice cream, amazing antiques, rare records. Must see to believe. Buy, sell, trade, and rent Campers. Open May-Nov. 12-8 Thurs-Sun or call for appt. (336) 984-8088 (c), or (336) 982-2059.